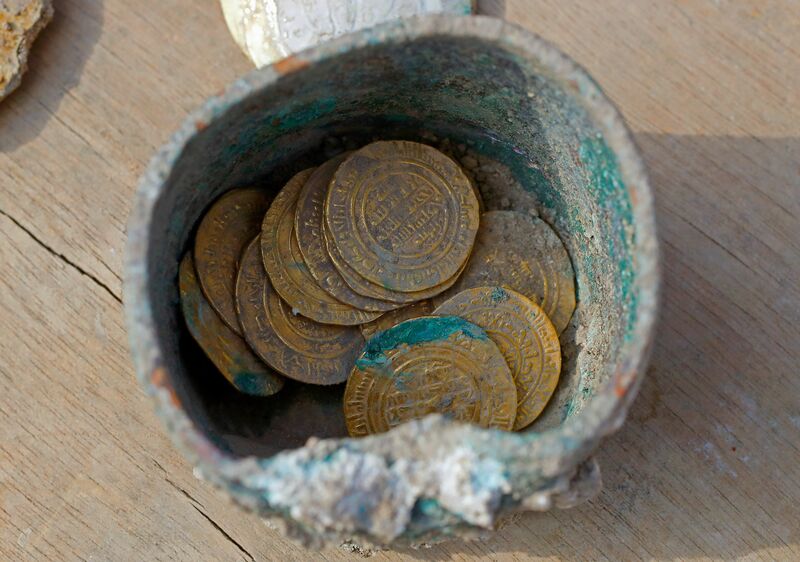 Rare gold coins were discovered in the ancient Israeli port city of Caesarea, according to reports published this week. The coins are believed to have been hidden about 900 years ago. Some 24 coins apparently were hidden by someone who may have wanted to retrieve them, but they never got them back, the BBC reported on Dec. 3. Archaeologists say the owner might have been killed when Crusaders invaded the area in 1101 AD. 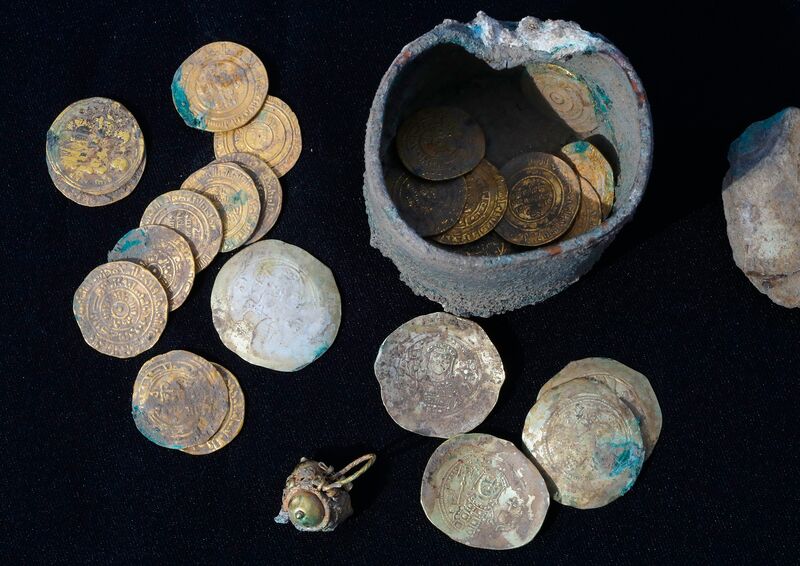 Among the hoard of coins are Fatimid dinars and rare 111th-centuryByzantine coins, the Times of Israel noted. During the Crusader war, the ruling Fatimid empire was routed and people were massacred or taken as slaves, the Times noted. For nearly 1,000 years, the bronze pot that held the coins was situated between stones in a five-foot-deep watering hole. 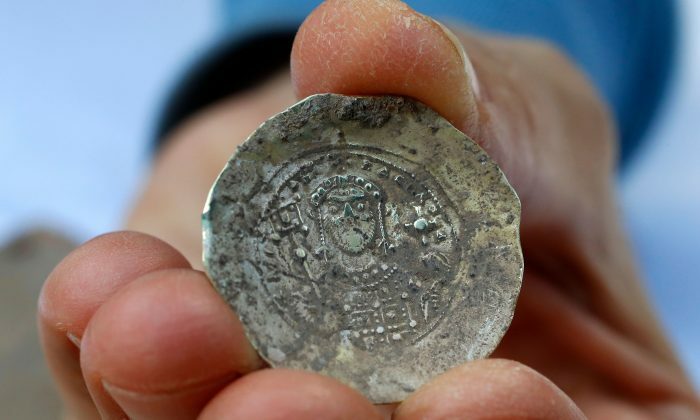 A statement from Israeli researchers said the finding might “link the treasure to the Crusader conquest of the city in the year 1101, one of the most dramatic events in the medieval history of the city,” SBS News reported. “According to contemporary written sources, most of the inhabitants of Caesarea were massacred by the army of Baldwin I (1100–1118), king of the Crusader Kingdom of Jerusalem,” officials said. 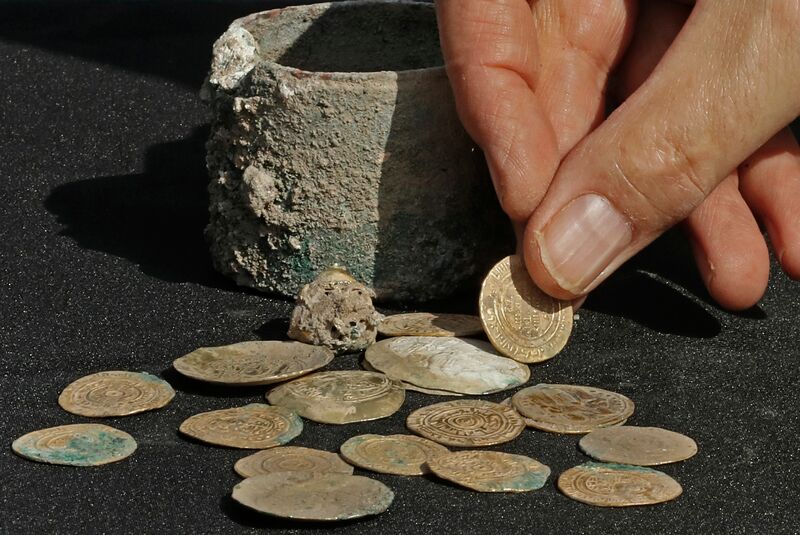 The coins and related treasures are being displayed at the Israel Museum in Jerusalem, the BBC reported. 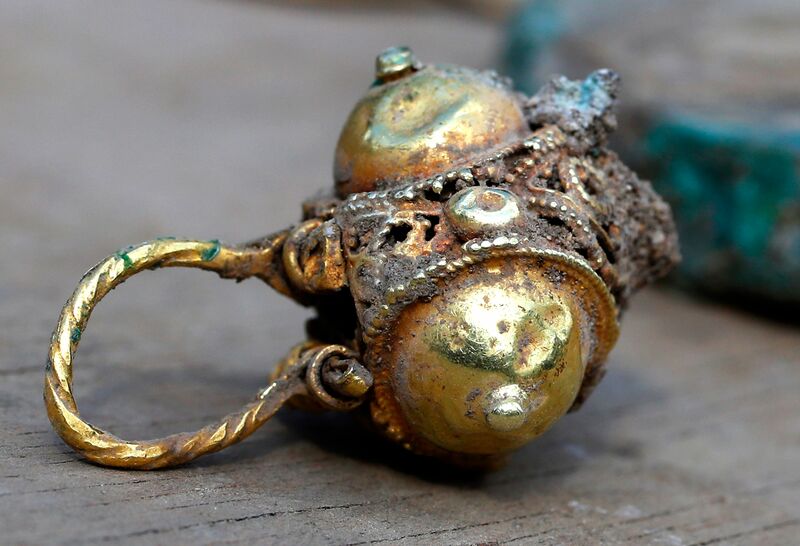 The finding is in a location where two other treasures from the same Crusades era were discovered, the Jerusalem Post noted. A golden pot with silver jewelry was discovered there in the 1960s. Meanwhile, bronze vessels were also found in the same area 30 years later. Other details about the finding are not clear.